This summer it has been harder for us to get on the lake as much as we’d like. but when we do it’s usually my wife and I that head down to the dock around dinner time and we stay out until the sun sets. 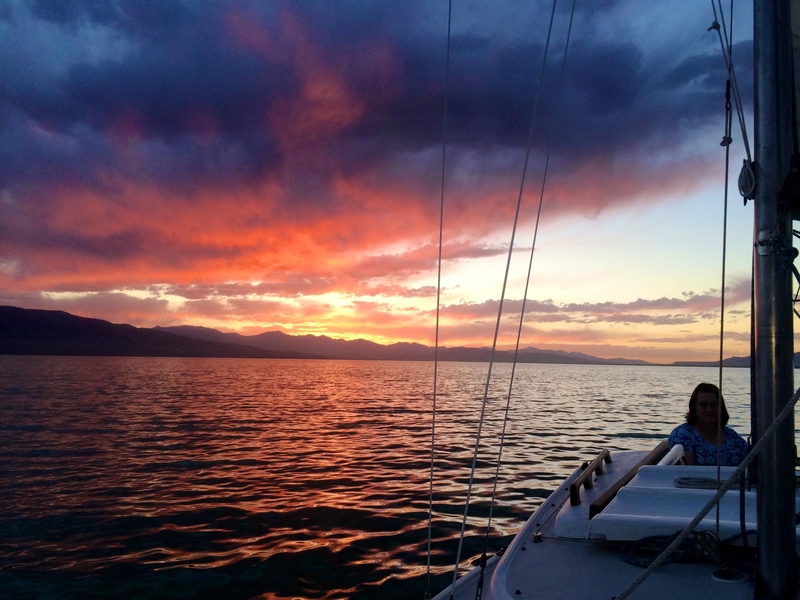 Hence our title: “Sunset cruising on the Catalina”. We love it. 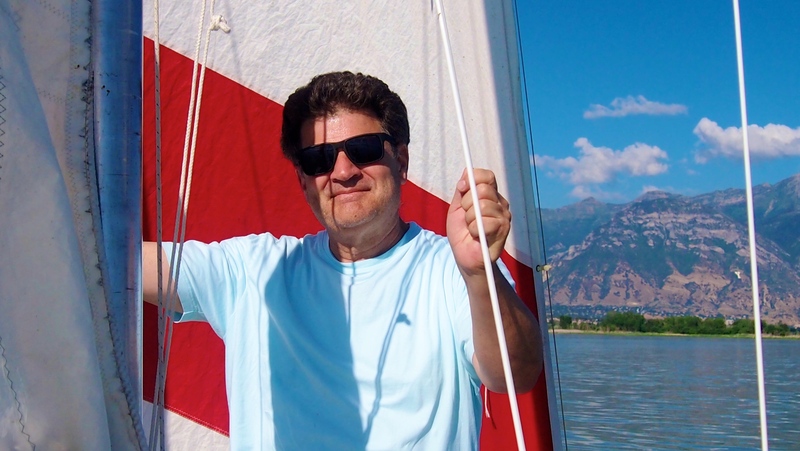 There is nothing more relaxing from a hectic day at work than winding down on the boat with no motor and no worries. My wife doesn’t like the adrenaline rush of heeling so I tend it keep it pretty tame when she’s on the boat. The only downside to our cruises is that if we stay out too late, we’ll get attacked by gnats, flies and mosquitoes. 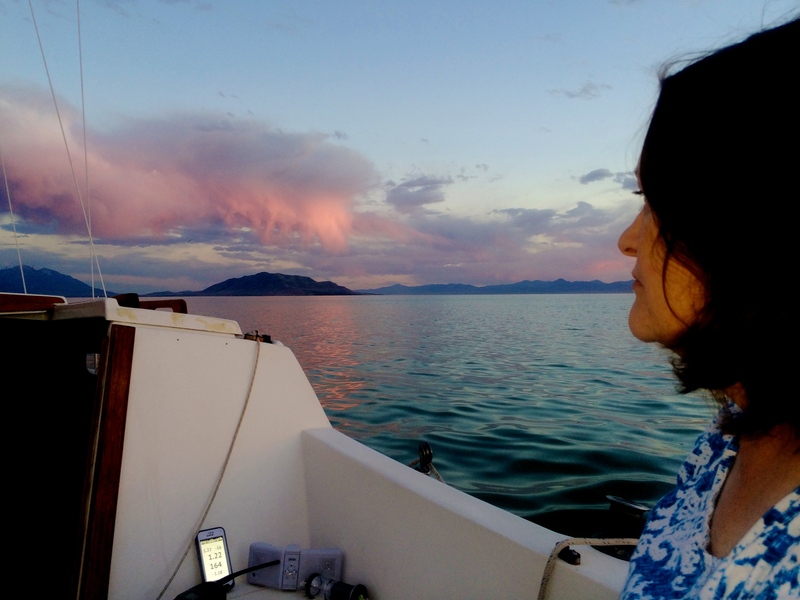 So lately we’ve had to keep our sunset cruises before sunset to escape the dark masses of insects that seems to mysteriously appear hovering over the water. Rest assured there is a permanent place in our sailing bag for the bug spray. 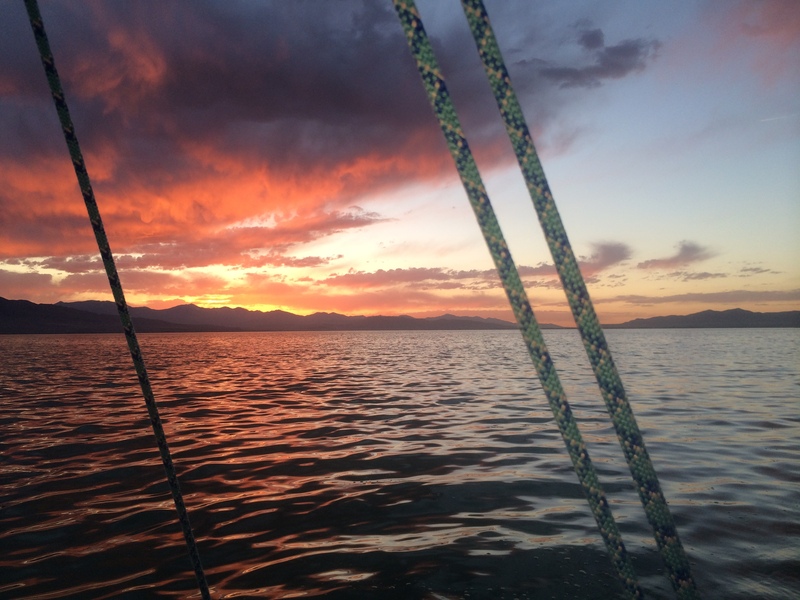 Here are some pictures of our sunset cruises on the Catalina this summer at Utah Lake. Hope you enjoy.